Come and learn how to make top quality, beautiful, natural soaps using the traditional cold process method as well as courses teaching liquid soap making. My goal is to teach you the skills you need to successfully make beautiful handmade soap using natural ingredients such as olive oil, shea and cocoa butter and lovely essential oils. All this takes place in the beautiful, relaxing and supportive atmosphere of the new Art Studio at our Portuguese farm - Quinta do Cobral. I will provide you with everything you will need, all the ingredients, equipment and safety gear. You will learn in small groups in a clean, relaxing place with plenty of time to ask all the questions you want. I am a highly experienced soap maker and respected tutor so you can feel totally happy that you will be receiving the best tuition possible as well as having great fun learning a new skill and making new friends. Soap making does not require a huge amount of complicated equipment or ingredients and is a really absorbing hobby, imagine how great it would be to be able to easily make all your Christmas and birthday gifts, soaps for your whole family, for special occasions or just for yourself. Especially as they will be totally natural, not containing any of the harsh, unfriendly chemicals of commercial soaps. 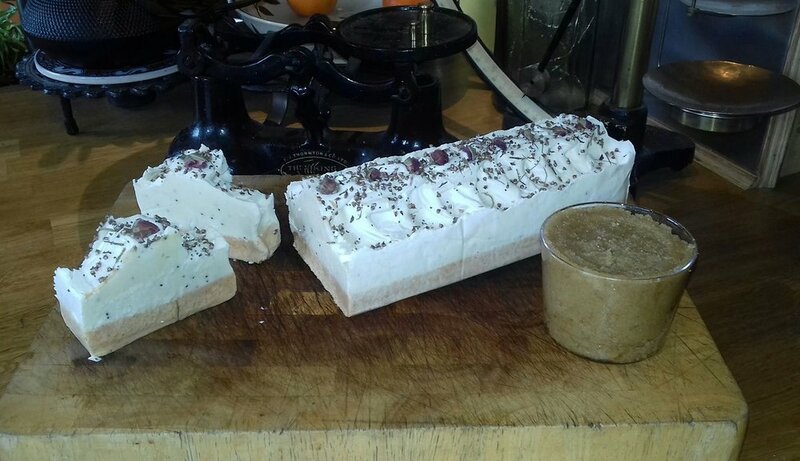 This is a great course for those of you wishing to provide beautiful soap for guests visiting your home or if you have a holiday letting business or hotel - make your own natural soaps as an addition to your complimentary products for visitors as well as larger bars for them to buy to take back home. Your soaps can be stamped and wrapped using your unique style, colours and logo. Then comes the fun bit, you get to make the soap. I supply all the ingredients and you will be able to choose how your soap is coloured, fragranced and finished. 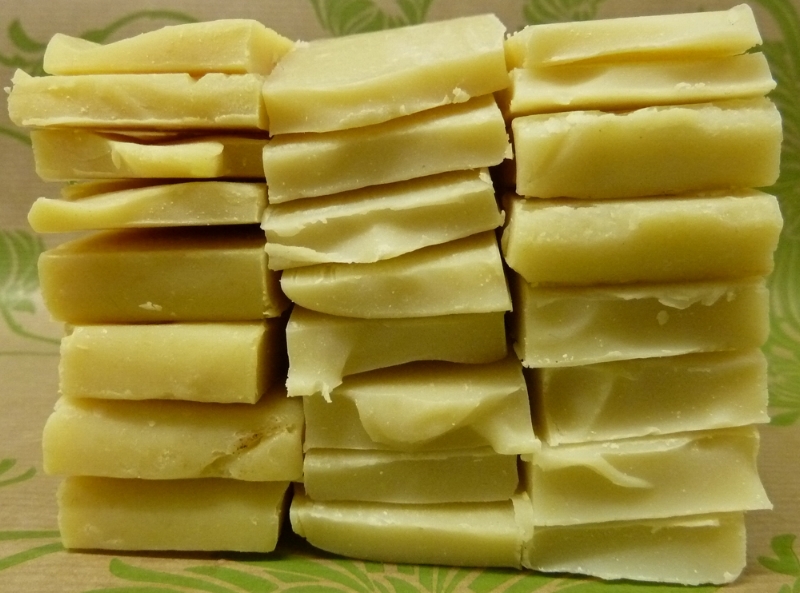 You then get to take home your first 1 Kilo batch of soap that you have made in class (it will not be hard enough to cut at that point) you will finish the curing process at home and end up with 10 - 12 bars of your own soap! If traveling from afar we can keep hold of the soap for you until it is hard enough to post. I also run courses for those with cold process soap making experience. Exciting Hands-on classes that explore more advanced topics including layering, double swirling, using clays, using speciality ingredients, liquid soap making, solid transparent soap, decorative techniques, natural cleaning products for the home, herbal and botanical infusions, hot process soap, whipped soap and other bath and body products, and much more. Each course includes a set of information handouts for you to keep. Dates for these courses will be listed below. I also offer intensive one-to-one courses which can include accommodation on site. If you are interested in booking a one-to-one course with me please get in touch via my email address info@quintadocobral.com or call me on 00351 927057286 and we can discuss course content and available dates. 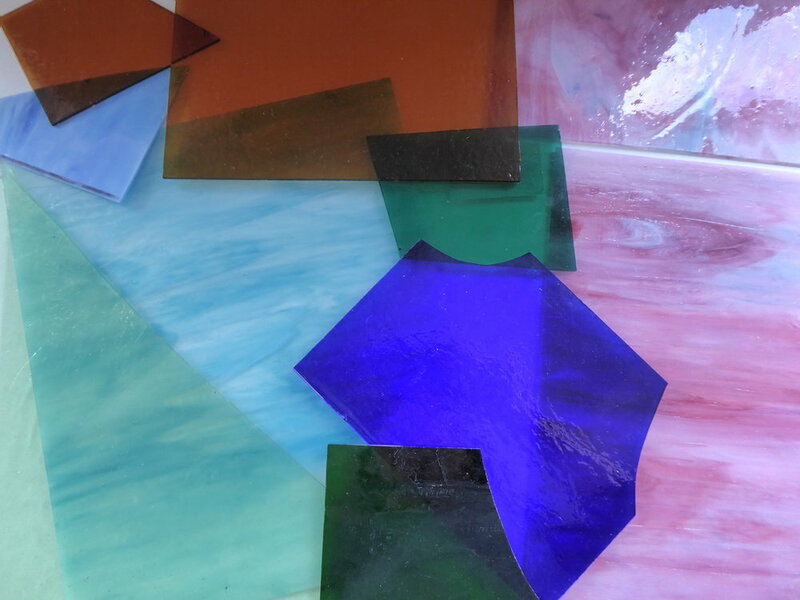 Exciting, colourful and informative courses in the wonderful art of Stained Glass making. I currently offer two different day courses for you to choose from, both are aimed at Beginners but improvers are welcome as they may appreciate the opportunity to expand their knowledge and develop their technique and creative ideas in my small, comfortable classes. SCROLL DOWN FOR COURSE DATES. This class uses the centuries old method which has hardly changed since the 12th Century. A panel or window consists of pieces of coloured glass held together with strips of lead came which is then soldered at the joints and finally cemented to create a weatherproof window. This course shows you the techniques required to work with glass and lead came making a lovely mirror/panel. Using the Tiffany Style method of glass making. This style refers to Louis Comfort Tiffany who invented the process where each individual piece of glass is wrapped in copper foil before being soldered together. This method is generally used for making gifts and small items but it is also used in combination with traditional lead techniques as there is much more scope for detail. You will be making a beautiful stained glass light catcher on this course. If you are interested in coming as a group of 4+ we would be happy to book you into our lovely cottage Casa da Bezerra where you could choose a weekend break and include a soap making class for yourself and your friends - subject to availability check out our booking page for more info and the calendar. 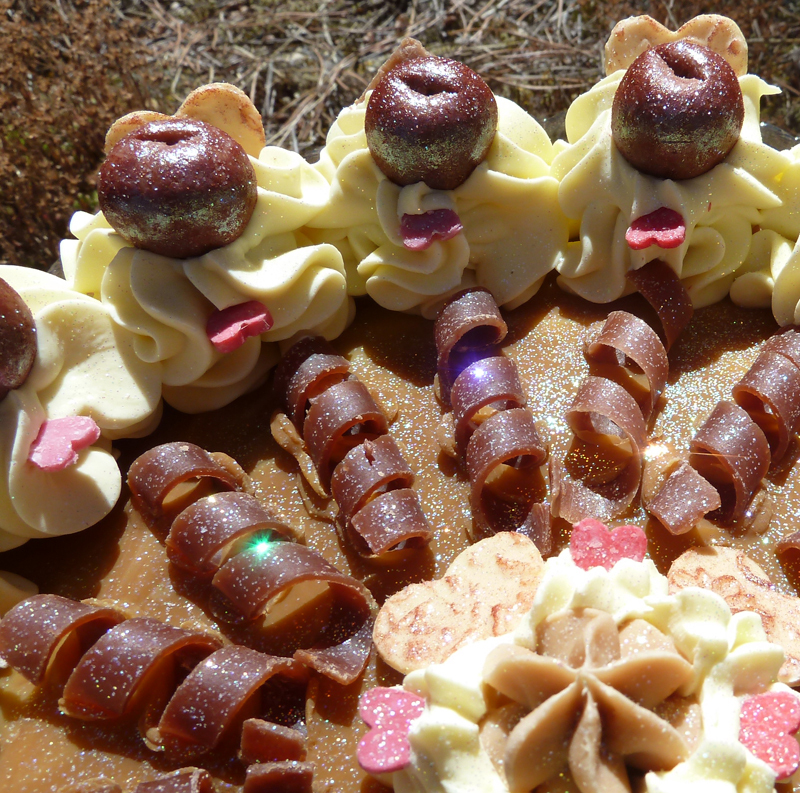 A great idea for a Birthday celebration, anniversary or a very special and unique creative Hen Weekend! Discounts for group bookings available just ask. We also run kids courses too! WELCOME TO OUR BRAND NEW SPRING 2019 COURSE PROGRAMME - KEEP VISITING THIS PAGE AS THERE WILL BE MORE DATES ADDED ALL THE TIME! 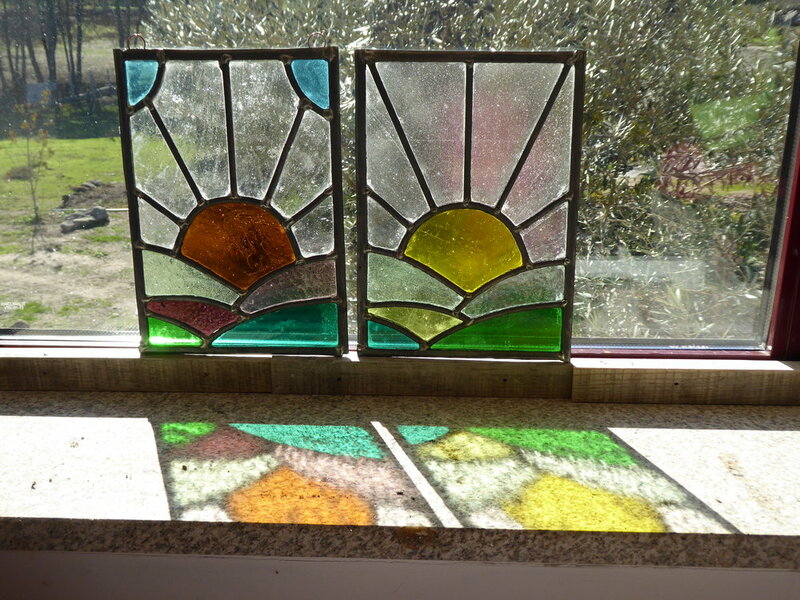 Saturday 6th April 2019 - Traditional stained glass making (you will make a small window to take home in a day) This course used lead and glass in the construction. All courses start at 9am with tea/coffee waiting for you. Lunch is served as a ‘bring and share’ sit down buffet, please bring a small plate of food to share, or lunch can be provided by pre-booking at a cost of €5. The beginners courses cost €60 per person, the Liquid Soap Course costs €70 per person, the improvers courses cost €80. Course fees include all ingredients, safety equipment, full course notes and recipes as well as tuition and refreshments. A 50% deposit is due when booking and the balance is payable in cash on the day. All courses are €100 per person, course fees include all materials and use of safety equipment and tools, full course notes, tuition and refreshments. A 50% deposit is due when booking and the balance is payable in cash on the day. Please complete this booking form if you are interested or contact me for further details. In order to confirm you place you must complete this form as soon as possible as places fill up fast! An invoice for the deposit will be sent following receipt of this booking form. A deposit of %50 is payable at the time of booking, the balance is due on the day of the course and can be paid in cash. Payments can be made via Paypal (I will send you an invoice - you do not need to have a Paypal account to use this method). Please let me know below if you have any further questions. I look forward to welcoming you to Quinta do Cobral. If you have any questions please do not hesitate to get in touch with me. Let me warn you....... My passion is soap, after taking my soap courses you will have the knowledge and tools to safely make soap in your own home but it won't end there! Soap making is addictive! You will soon be talking about soap....... thinking about soap........ and dreaming up lots of lovely new soap designs! You will leave the course having made lots of new friends and met like minded people. Best of all, I will be there for you as well, you can keep in touch and let me know how you are getting on and I love to see photos of your own work, so the challenge is on! But.... I also love stained glass and its wonderful colours and creativity, watch out! lots more great courses to follow. "I just wanted to thank you for showing me how to make soap. I had a fantastic day and thoroughly enjoyed myself. I couldn't wait to get home and show off my bar of soap. Your enthusiasm is catching and it was so kind of you to pass on your knowledge to me and to bring along so many lovely examples of your craft. 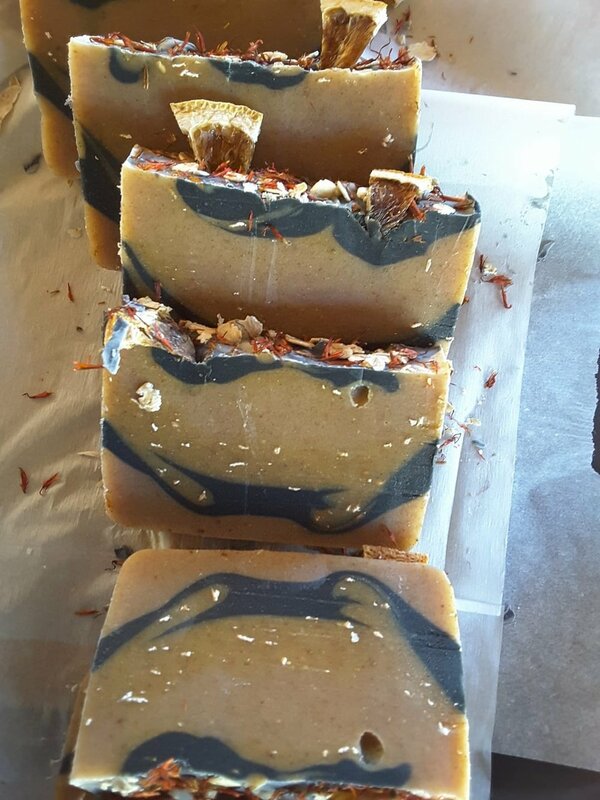 I am looking forward to having a go at making my next batch of soap on my own at home." "Thanks again for yesterday. We both really enjoyed the course. Eucalyptus and Cedarwood with Oats and Calendula on the left and Lavender and Orange with Safflower and Heather flowers on the right. They are wonderful and the scent is amazing. And the best part was washing our hands after cutting it up!!! 15.07.17 "
"Thanks for a lovely day at Quinta do Cobral. I’m so happy with my soap, it looks and smells fantastic. What a fabulous day, fun, informative, creative and exciting to understand and watch a chemical reaction take place so quickly and the bonus of having a journey through all the different scents of the essential oils and some to take home too. Thanks again for your knowledge, patience and enthusiasm and sharing your lovely Quinta."